WordPress now powers about 25% of sites on the interwebs. Its ease of use, flexibility and power have made it a go-to choice for many business owners. Do you have a WordPress website? 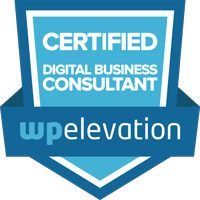 Do you know a business owner with a WordPress website? Is your care plan up to date? Yeah, your care plan. It’s no good having a shiny, new website that stops working for you because it gets hacked, or has outdated software. Or think of it this way, how much business (ahem, money!) would you lose if your site was down for a day? Three days? A week? 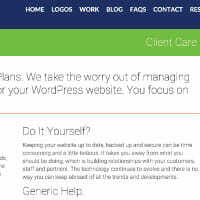 At Graphic Zen, we provide our Client Care Plans to business owners and individuals who care about the results of their website. These clients want to focus on their businesses and not the tasks of keeping a website updated. We provide and add value to your website. We provide support to you and your team to make sure your site is up-to-date and running.